When selectors dropped Shaun Marsh, his brother Mitchell and Peter Handscomb after the Indian Test series, and replaced them with the tried-and-tested Joe Burns and Matt Renshaw – plus the exciting 20-year-old Will Pucovski for the Sri Lanka series – life was simple. 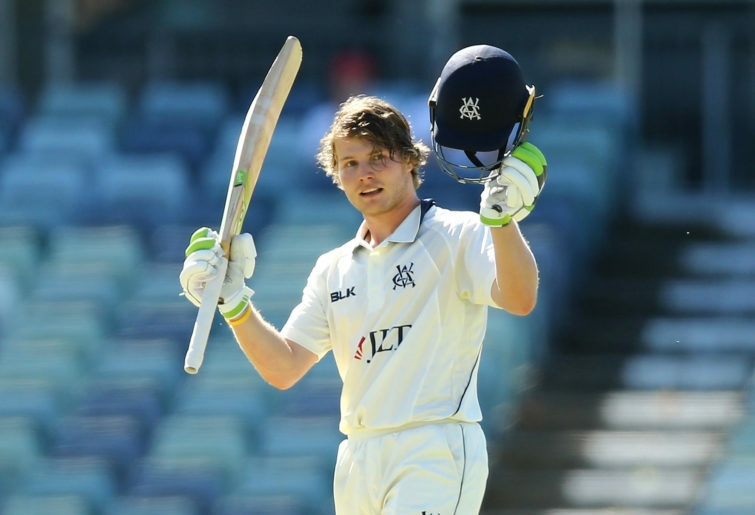 Pucovski was all set to make his Test debut on the back of his 243 off 311 with 30 fours for the Vics against the West in Perth. The team that would take the field today at the Gabba against Sri Lanka would be Marcus Harris, Burns, Usman Khawaja, Marnus Labuschagne, Travis Head, Pucovski, Tim Paine (c), Pat Cummins, Mitchell Starc, Jhye Richardson and Nathan Lyon. But two telling changes swept through the squad. NSW leftie Kurtis Patterson cracked 157* and 102* for a Cricket Australia XI against Sri Lanka in Hobart. He was immediately added to the Australian squad – and deservedly so. From nowhere, Head and Cummins were then named the new vice-captains to replace the dropped Mitchell Marsh and the injured Josh Hazlewood. Suddenly the cut and dried scene changed dramatically. Patterson wouldn’t have been added to the squad if he wasn’t going to play at the Gabba, and Head couldn’t be stood down when he had just been appointed a vice-captain. Now there was no room for Pucovski. So the team that will take the field today will be Harris, Burns, Khawaja, Labuschagne, Head, Patterson (on debut), Paine (c), Cummins, Starc, Richardson (on debut) and Lyon. How Peter Siddle managed to get a squad berth remains a mystery, but his non-selection was just as cut and dried after his 2-162 off 25 overs in three ODIs against India. It was a performance that saw him carted for 25 fours and two sixes, compared with Richardson’s 6-112 off 30 with just six boundaries in a virtual head-to-head. The average was 81 to 18.67 – but Siddle still managed the drink waiter’s job, which Pucovski missed out on as well. He plummeted from the penthouse to the basement in a matter of days. But if the selectors had any sense of the occasion, they still could have awarded Patterson, Pucovski and Richardson their Test debuts. In fact, the recent performances of all three demanded just that. In a summer when centuries have been as scarce as hen’s teeth, Patterson’s 157* and 102* double was a given, Pucovski’s 243 was also a given – as was Richardson’s 6-112. If there had to be a scapegoat, it was Joe Burns who hasn’t cracked a century this summer, even though he went close with 96. That would have been really tough on Burns, but it was even tougher on Pucovski. Promote Khawaja to open with Harris, and move the current order up one, leaving space for Pucovski. Today’s team should read Harris, Khawaja, Labuschagne, Head, Patterson, Pucovski, Paine, Cummins, Starc, Richardson and Lyon. Maybe for the second Test at Manuka?